Texas Instruments introduced with the TI-5130 II a modern and sleek looking Desktop Printer calculator as the successor of the TI-5130. Both the TI-5135B and TI-5150B followed this design path. The UL-File number E42662 of the calculator reveals it as a product manufactured by Toshiba TEC Corp. 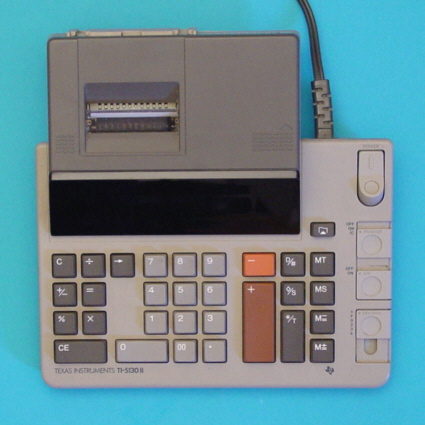 The TI-5130 II is featured in the Texas Instruments Incorporated bulletin CL-909 dated 1986. © Joerg Woerner, July 5, 2009. No reprints without written permission.